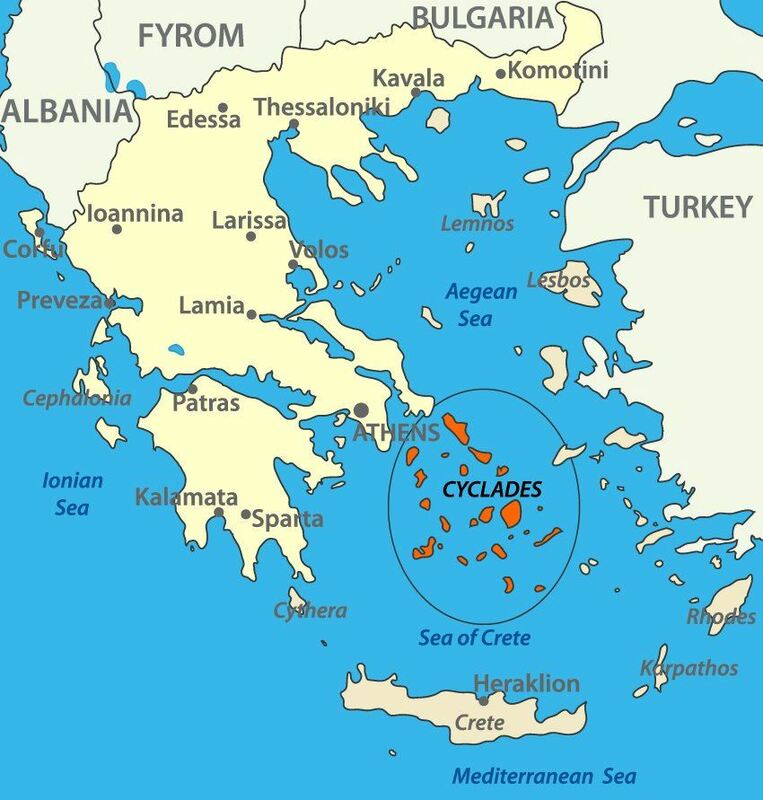 The Cyclades are an island group in the Aegean Sea, southeast of mainland Greece. The name refers to the islands around (κυκλάς) the sacred island of Delos. The largest island of the Cyclades is Naxos. Each of the small Cycladic islands could support no more than a few thousand people, though Late Cycladic boat models show that fifty oarsmen could be assembled from the scattered communities (Rutter), and when the highly organized palace-culture of Crete arose, the islands faded into insignificance, with the exception of Delos, which retained its archaic reputation as a sanctuary throughout antiquity and until the emergence of Christianity.